I lost count of how many times in the last 30 years I prepared my backpack and hiking gear, a repetitive action at first sight but with an unpredictable outcome. This week was no different. A couple of days away from the beginning of a Walking Mentorship program, it is inevitable; I have to fit all my needs and belongings into a 45 litre rucksack. A simple exercise that depending on how you go about it can teach you (on and on) valuable lessons. There is a rule, probably the only rule, that when you walk you should never forget. 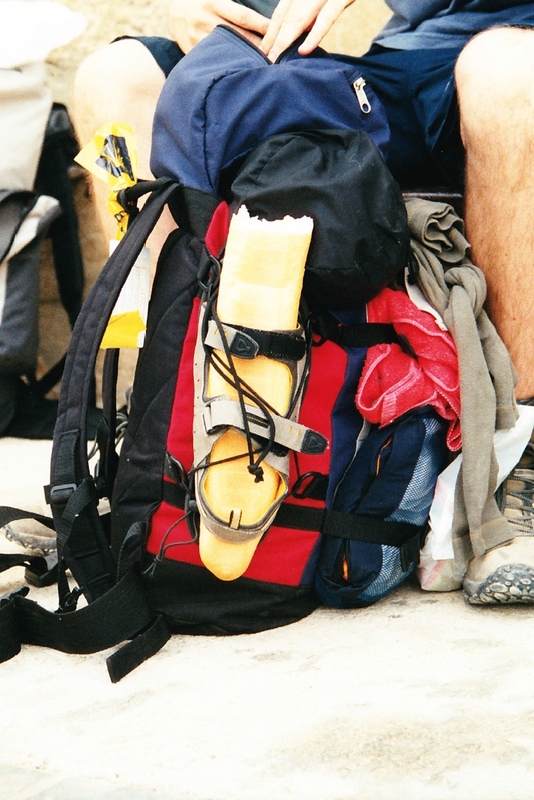 Whatever you put in your backpack you will have to walk with, you will have to carry it! This is one of my favorite analogies between walking and life, or maybe between life and walking, if I will ever found a difference. More or less experienced hikers and travelers know that we should not take more than 1/10 of our body weight, but truly speaking, we only understand what we can really take when we start walking. Some days you will notice you can take more, some days you have to take less. Just like in life. The most important skill we need to master is how good we become at mixing important things and how good we become at getting rid of superfluous items, creating perfectly unperfected balances. If you take only water, you sure will not be thirsty, but you might get cold at night. If you take only clothes, you will never show up in the pictures with the same shirt, but you might become very hungry as the journey progresses. Once again, looking at my backpack, I understand the size and the weight of my “Universe”; a needle and thread, a couple of t-shirts, one shirt, two pairs of shorts, a polar fleece, three pairs of socks, a sleeping bag, three pairs of underwear, a poncho, sandals, hat, sunscreen, a towel, earplugs and a pen. Funny feeling when I look around the hundreds of (more or less important) things in my office and I compare them with my list of essentials for the walking. Experience tells me that for the next 120km of happiness I barely need much more. I stop for a moment and think about where the unperfected balance in my life is, that thin red line that reassure me that I’m not carrying more than I can take. Life and The Route are magnanimous. If it becomes too heavy, probably you need to drop something. But don’t worry, few kilometers up the road you will probably understand the reason why.